Drafting, revising and working out…#WriterRecharge Update One! 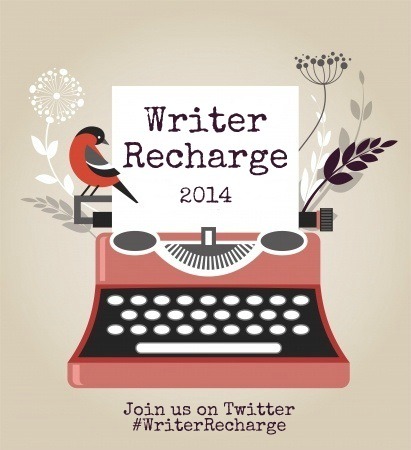 If you want to learn more about #WriterRecharge, just click here. The short story: brainchild of Sara Biren, it´s a way to keep motivated during the month of February. Your hosts and cheerleaders: Katy Upperman, Alison Miller, Liz Parker, Sara Biren and me. Every Monday in February, update your progress via your blog or twitter. Link your blog posts at Sara’s Monday posts. And throughout the month, don´t forget to use the hashtag to connect with other writers, have writing parties, and cheer one another on! Honestly, WriterRecharge kept me motivated. Waking up to tweets of people encouraging one another is pretty awesome and did push me. So, THANK YOU! I’m being inspired and motivated despite not officially participating on my own blog. Wow, you are doing great so far, Elodie! Hope this next week is just as successful! WOW! You did a wonderful job! I wish you all the revising and writing and exercising successes this week too! Go, Elodie, GO! Great job. 🙂 Looks like you nailed it this week! I love that you included exercise in your #WriterRecharge goals. What a great idea! And awesome job getting so much done over the last week. You are an inspiration, friend! I love that you are working on two projects simultaneously. I’m still not so good at that; usually one project is on hold while I work on another. I commend your workout goals. Usually I make it to my Monday night class at the gym, which I love, but I have to really work in other days during the week. AH! All your goal accomplishing is motivating me! Awesome job on keeping up with all your goals. That’s so cool you put exercise as one of your goals. I have fallen so far off the fitness wagon it’s not even funny. Congrats on a great week! I need to add in exercise to my goals! Nice work!